There are seven different Classroom Games Kits--one for each grade Kindergarten through Grade 6. 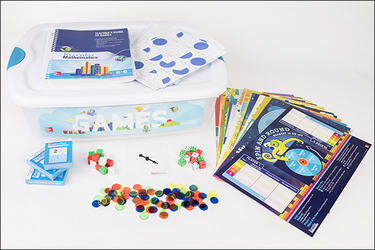 Each kit contains a Teacher's Guide to Games that includes games for all grades in the Everyday Mathematics curriculum. Each kit has the materials needed to play the games in that specific grade, including card decks, dice, and gameboards for the most popular games.